From the year 2016, guest posting has been the top traffic building topic in marketing circles. Article marketing and several backlinking techniques have taken huge punishments after certain updates were made to the Penguin Algorithm. Check out the previous article where we talked about how to get traffic through guest posts. When you guest post, make sure that you do so in a niche that is particular to your business. Do not just plant content in blogs that have no reference to what you do. Be contextual, and all your guest posts will bring authority and traffic to your site. Below are some of the top guest post sites on the Internet. Read about them and see how you can leverage them to bring traffic and authority to your site. These websites have authority on the Internet and will have high standards to meet. Make sure you go through their submission guidelines. This group forms some of the most-challenging guest post opportunities, but they are the ones with the highest returns. Getting your post on these sites will increase your traffic and ranking immensely, so you should give them a try. These are blogs that look for high-quality guest post writers in the fields of Social Media, Content marketing and SEO. They only accept posts from people with deep industry knowledge in these areas. Although most of them cover all issues related to marketing on social and SEO, there are others that are inclined to one of the two. Writers must do their due diligence and find out which ones do what. 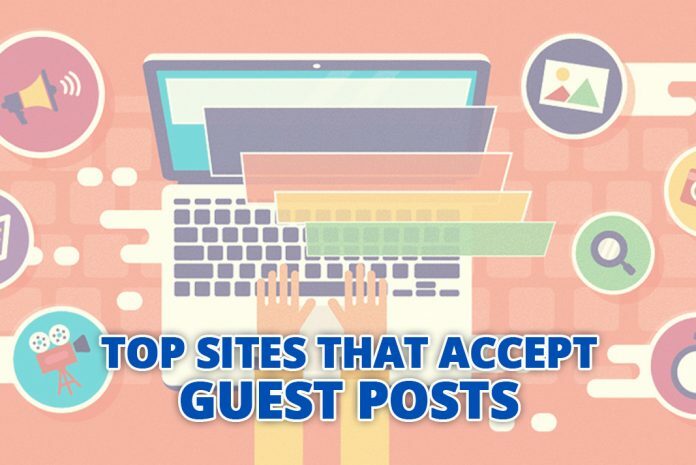 These are a diverse group of guest post sites that most affiliate marketers will want to approach. Most affiliate products are in the lifestyle category, and this makes this set of websites very crucial to their business model. These are blogs that will accept guest posts in the niches of technology and web design. These have been put together in this case because they are closely related in some ways. In other words, especially for technical products, affiliate marketers have to be very wise in their choice. There are so many other websites and blogs that offer excellent opportunities for guest posting, but may not be included in this list due to the level of stringency that they have in accepting writers. Some high-end websites such as IndianAffiliatePrograms.com offer great guest posting opportunities for affiliate marketers as mentioned above. There are so many other guest posting websites, but you have to consider their Alexa ranking, the number of writers who contribute, and their contribution guidelines. With links from these sites, your blog or website will see an amazing increase in targeted traffic, and the conversion rate will improve. Guest posting is still a viable marketing option for affiliate marketers so get it correct right from the start. Guest post on authority websites and blogs and you will be on the right track to successful selling. Hello sir, can you please suggest me some guest posting site for education who have good DA and Alexa ranking. Guest posting not only helps to bring traffic, it also increases your trustworthiness as a writer…and it also helps to increase loyal readers. great job..